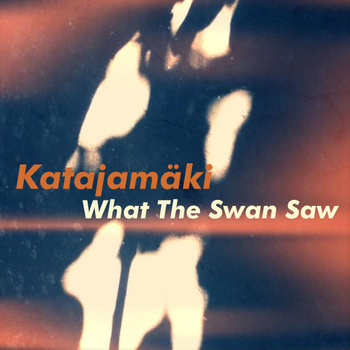 Etched Traumas is more than happy to present the latest works of Finnish artist Katajamäki, entitled ‘What The Swan Saw’. The opening track is a deep melancholic ambient work set, which is the framework of this EP. Encapsulating a huge vintage 70s ambient electronic synthesized feel of underwater sounds, resembling cold breezes, whales-like tones and sweeping sounds which construct an inspired work, somewhere between Tangerine Dream and Cluster. In the introverted ‘As the cold sun sets’ Katajamäki builds a perfect ambience with an open horizon and a proper deep feel. The final track renders the same frosty picture but the addictive synth pattern and the laidback downtempo beats are the optimistic ending to ‘What The Swan Saw’. From deep underwater scenery we are relocated to mountain peaks. Katajamäki charismatically depicts such antithetic soundscapes. Free download. Get it here. This entry was posted in News and tagged ambient, downtempo, electronic, finland, Katajamäki, laidback, soundscape, suomi by bsom. Bookmark the permalink.